Bamboo viscose fibers are derived from one of the most ecologically friendly grasses on our planet, making it an attractive alternative to cotton and petroleum based fibers. Viscose Fibers Can Absorb 3-4 Times as Much Moisture as Cotton! Bamboo requires no irrigation to grow because it thrives under natural rainfall and requires no pesticides or fertilizers to grow and thrive. Once mature, it can grow up to 47-inches in a single day and holds the record as the world's fastest growing plant. Bamboo does not need replanted after harvest because unlike trees, bamboo will regrow right from the cut. A stand of bamboo creates 35% more oxygen than an equivalent stand of trees while absorbing 5-times the greenhouse gases. With so many uses, there is little to no waste with harvested bamboo, every part is used. The hard outer shell is used as a wood substitute and the inner pulp is what is used to create bamboo viscose. Although the inner pulp must undergo a chemical process to become viscose, all of our fibers are made using a closed system that recycles the chemicals, creating very little chemical waste. This process does require more energy than processing of cotton into fibers but one must consider the energy, pesticides, herbicides, irrigation, farmland utilization, and impact of planting and harvesting of cotton before it is processed into yarn when weighing relative environmental impact. Bamboo viscose isn't perfect but we believe it is several steps in the right direction. Ecosox are manufactured from bamboo viscose derived from Phyllostachys edulis (Moso bamboo). 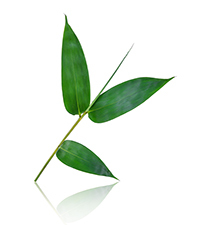 Moso bamboo is native to China and Taiwan, although it has been growing in the southern United States for over 100 years. Moso bamboo can grow over 90 feet tall. Known as bamboo tinder throughout China, Moso bamboo is also commonly used as a substitute to wood as it is much lighter, stronger, and cheaper to produce than traditional lumber. 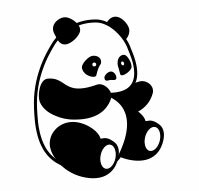 Moso bamboo is inedible to Panda bears, so don't worry, we aren't depriving Pandas of their food. There are over 1,000 species of bamboo, of which Panda bears only consume 42. Fortunately for us, Pandas are picky eaters so when wearing Ecosox you won't have to worry about a Panda bear eating your feet any time soon.